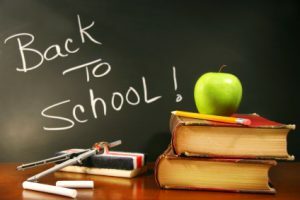 With school having started, there are many essential oils that can help you stay focused and concentrate. Unlike over-the-counter supplements or energy drinks, essential oil remedies have fewer side effects and will not cause harsh crashes or jitters. * Rosemary : This herb has been used for thousands of years to aid in concentration in parts of Europe, particularly the Mediterranean. 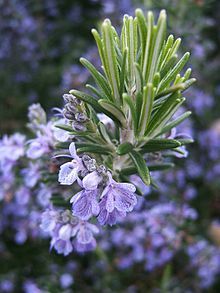 In ancient Greece, scholars would hold sprigs of Rosemary in their hair to smell as they worked. Later in England it became a symbol for memory and fidelity and is still used in wedding ceremonies. 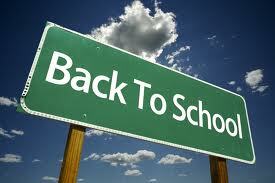 * Lavender: Headaches and stress can seriously affect participation and focus in the classroom. Lavender has been known to calm senses and help ease headache pain. Part of the mint family with rosemary and thyme, lavender has over a 150 active constituents in its chemical make up. Not only does this make lavender an antiseptic, but also contains compounds known to combat stress. Before a big test, be sure to use a lavender diffuser or lavender tea. * Grapefruit: Grapefruit is chock full of vitamin C which helps keep your immune system going through the long study sessions and cold winter days. Pink and red grapefruit contains lycopene as well, which can help fight against oxygen free radicals that damage cells. The fruit also contains antioxidants, which will help keep you healthy even after finals week or during a huge paper. Cold and flu season can be another obstacle that you need to over come during the winter months. Licorice root can be a great way to stay focused and feel better. * Licorice root: This is an amazing little boost when you’re sick but need to get through your last week of midterms. Licorice root can be used to stir your favorite herbal tea, mixed in tea, or simply chewed on. When you have a cold, flu or sore throat, licorice root can be used to instantly sooth coughs or sore throats. As a side note: Please do not use essential oils undiluted on the skin, blend with a carrier oil. AromaStone Electronic Diffuser ~ is a great diffuser for a school dorm, no candles and does not burn to hot! While settling in, be sure to stock up on these herbal essentials! They may be what save your grade! Summer Time 2012 has arrived! Its been a while since I wrote a blog post here. It seems between Facebook and Pinterest, and life happening .. I have been remiss in my entries. The summer so far has been sweltering. Fires raging thru out the South West, my prayers for all those in those parts. Politically, they are ramping up for the elections this year. I think I will keep my opinions to myself .. Politics and Religion… I don’t go there. What is blooming in your garden? My Lavender is amazing this year, and my elderberries are off the hook huge and tons of flowers, I will be busy this year with them. Also made for the first time, Chives and white wine vinegar. It is so yummy. For sure will make more bottles next year.!! Wishing you a wonderful Summer. Stay cool, be sure to drink plenty of fluids and don’t forget our animals (domestic and feral) they need water too.!! I love Reflexology! I studied it back in the late 1999. As a young girl when my Grandpa would come home from work his feet hurt him so much I would take off his boots and sock and massage them for him. I saw the relief he received and how relaxed it made him. this is an informative artilce by Sun Gazing on FaceBook. Enjoy.